We specialize in serving West Nipissing - Sturgeon Falls - Cache Bay - Verner - Crystal Falls, Field, Lavigne and surrounding communities. We get dirty carpets clean again. Our professional carpet cleaners will splash life back into those messy nasty carpets. Give us a call, we are competitively priced, hardworking, honest and in most cases (weather/traffic permitting) always on time. Call us today at 705-482-0370 (click-2-call now) for your competitive quote. We have been in business for over 20 years and serving all communities. We love our West Nipissing & Sturgeon Falls neighbours. Based out of North Bay we are only a 30 minute drive to your location. We are always willing to service our friends in West Nipissing. Are you selling your home? Do you need a professional carpet cleaning team to steam clean those carpets before the new owner takes possession. If your renting or your a landlord and need your unit cleaned before you can rent them again. Give us a call. We are fast and professional and our West Nipissing customers deserve the best. 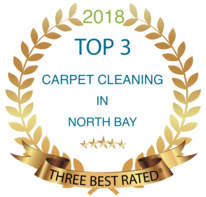 So we know that West Nipissing has the best French Fries in the world, now you have the best carpet cleaner too. We have the knowledge and skill set to get your carpets and upholstery cleaned professionally. Don't try those "home remedies" as they usually just make your carpets worse. 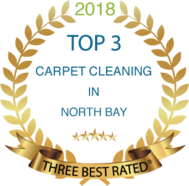 Carpet Cleaning is WHAT WE DO! West Nipissing residents click the number below - get us on the phone and get those nasty smelly carpets steamed cleaned professionally. MENTION COUPON AT TIME OF BOOKING/CALLING.